Home > Blog> Fashion>Tuscan leather goods, a story of excellence that defies the centuries. The history of leather goods is inseparable from the history of Tuscany. To become excellence, the craftmanship needs to be deep-rooted in the history of a place and to be refined over the centuries. Today, when you cross the San Lorenzo market in Florence or the markets of Piazza Santa Croce, you can distinctly smell the scent of leather between the stands. The attraction for leather objects is irresistible. It didn't begins with the view but first with the perfume of the leather that you can nose at the San Lorenzo market ! After have smelt this perfume, you’ll like to bring back home a remember of your Florence escape. We will tell you how this perfume could be smelt distinctly in the streets of Florence, along the stands of the Arno and also in Pisa since the Middle Ages, even before Tuscany was known for the deeds of the Medici and for the art of the Renaissance. The activity of tanning leather in Tuscany was already known at the time of the Etruscans, who populated the coastal areas of the region. A decisive development came in the Middle Ages, especially under the Republic of Pisa. In fact, the art of leather goods had originally developed in the Pisa of 1200, thanks to the considerable availability of raw materials deriving both from the slaughter of the cattle raised on the pastures of the coastal depopulated coast, and from the ease with which the enterprising Pisan merchant class was supplied at the ports of Sardinia, Sicily, eastern Maghreb and Spain. In the first decades of the fifteenth century, after the conquest of Pisa by Florence, the richest Florentine families decided to invest both in the existing tanneries of Pisa and in the lower Valdarno, and by moving part of the production also to Florence. 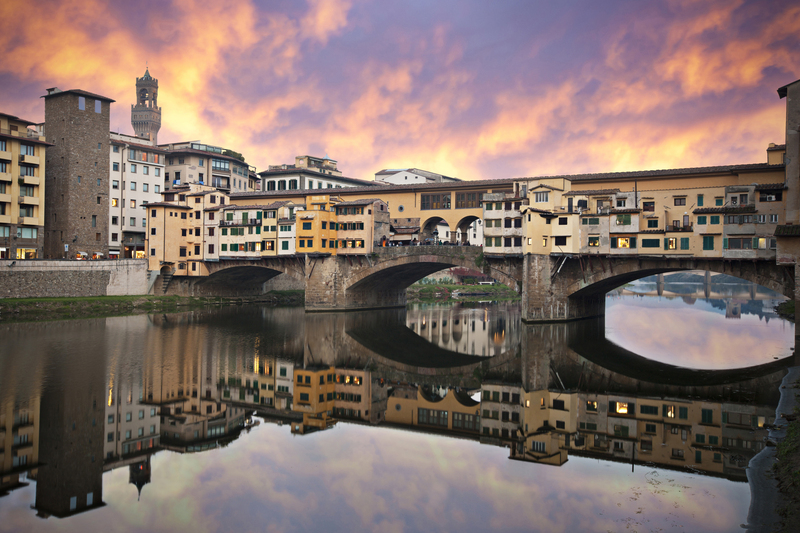 The production of leather and leather goods was concentrated in the late Middle Ages in a specific area of ​​the city: in the alleys that connected Piazza Santa Croce to Piazza Signoria, near the Arno river. Even today there are roads such as Via dei Conciatori or Via della Concia that recall the medieval activities that took place there. The proximity of the river was fundamental for the development of the tanning industry. The areas of Santa Croce, Fucecchio and Ponte A Egola were the cradle where the first industrial tanneries prospered (and still thrive today), because the presence of the Arno ensured sufficient water for the production process and facilitated the transport of goods . The tanning of the skins remained one of the few sectors of the Tuscan industry of low-medieval origin to emerge unscathed from the catastrophic crisis of 1600. The centuries have passed, but the Tuscan leather industry has always been able to renew itself and respond to the needs of international markets. Today the Tuscan leather district has a total turnover that currently accounts for 28% of the entire Italian leather production. It’s characterized by the high degree of craftsmanship and flexibility of the productions, primarily intended for high fashion. Today Original Tuscany chooses its products directly from the master craftsmen of the leather district between Florence and Pisa, offering its customers a careful selection of items that respect the great centuries-old history of craftsmanship that has made Tuscany famous throughout the world.